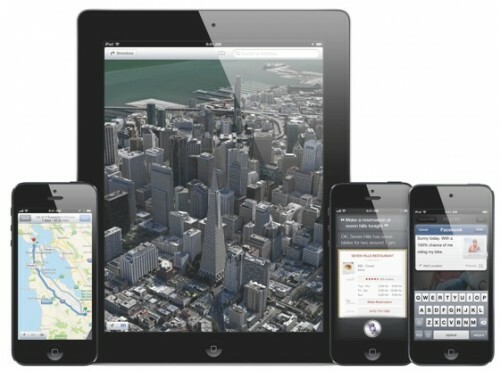 Other announcement Apple made yesterday was the release of iOS 6 mobile operating system, which was first announced in June at the company's WWDC keynote event and will be available on September 19th as a free download for the 4S, 4, 3GS, new iPad, iPad 2 and 4th generation iPod Touch. The iPhone 5 will ship with iOS 6. 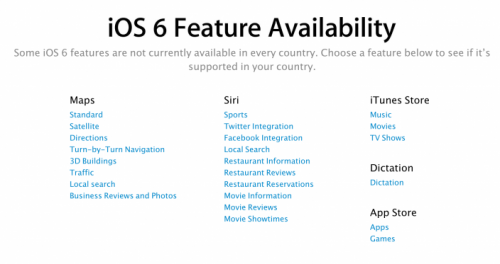 Apple already detailed the specific iOS 6 features that would be available to certain iOS devices back in June. Siri will be enhanced to provide movie information, sports scores, and the ability to post to Facebook and Twitter. The new Passbook app will hold tickets, passes, and payment cards for participating businesses. Safari will have a full-screen mode for better browsing and iCloud tabs to save your open tabs and offer immediate access to them on your other iOS devices and your computer. Maps app will provide turn-by-turn directions and a new 3D flyover feature to show a more realistic view of buildings and land features. Facebook will be integrated into iOS 6, with the ability to post Photo Stream pictures straight to the social networking service and status updates through Siri. 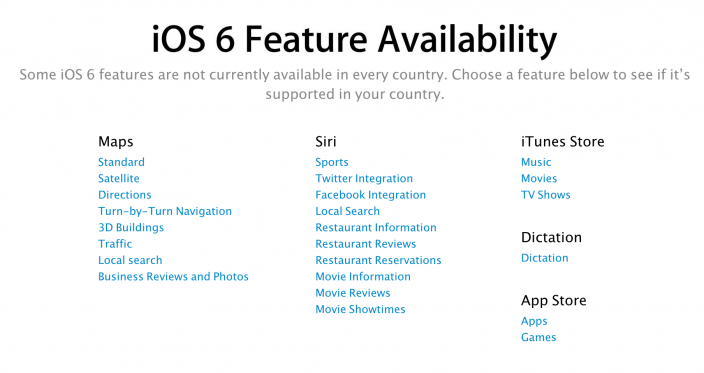 Note that some of the iOS 6 features limited to specific countries include: Facebook, Twitter, local search integration in Siri, turn-by-turn and 3D buildings for Maps, and dictation.